Be sure to hit the Bench marked with the purple star before the battle in case you die. This is a relatively tame encounter. 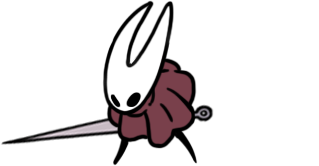 Hornet has a few different attacks: she will dash at you, she will throw her needle horizontally and then pull it back, she will jump into the air and then dash downward at you, and she will do a small aoe attack with thread from her needle. After hitting her several times she will be stunned briefly which is a good time to heal. Once she is defeated you will receive the Mothwing Cloak which lets you dash. There are currently no gaming sessions for the Test of Resolve achievements that you can join - why not register and make a new session?